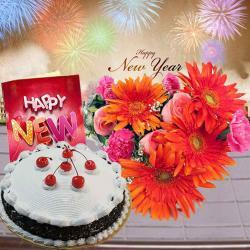 Product Consists : Bouquet of 12 Mix Carnations with some fillers in a cellephone wrapping with a matching bow, 1/2 Kg Round Shape Chocolate Truffle Cake along with New Year Greeting Card. 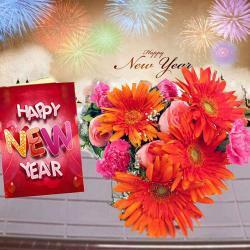 Make your loved ones feel special by delighting them with lavish gifts from Giftacrossindia.com on New Year. 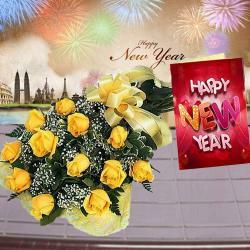 This is an opulent gift hamper comprising of a half Kg Cake in mouth watering chocolate truffle flavor, a bunch of 12 mesmerizing carnations in pink, red, yellow and white color and a New Year greeting Card that contains a lovely message for your dear ones. 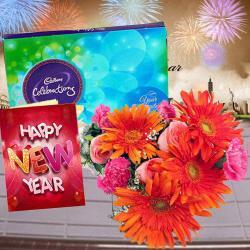 This amazing gift hamper has all the elements required to make New Year celebration thriving and filled with happiness. So order it now. 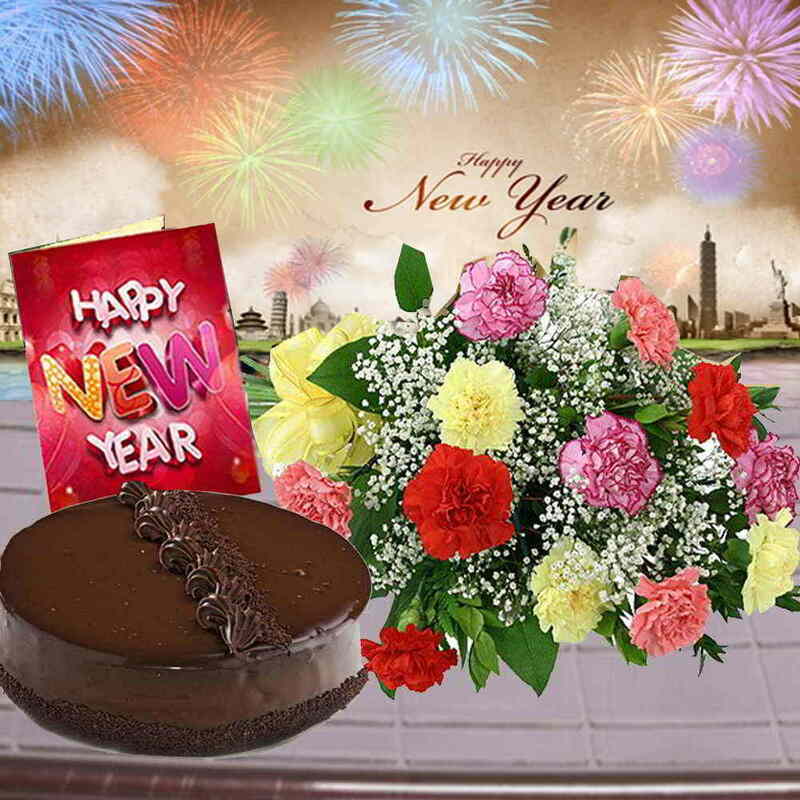 Product Consists : Bouquet of 12 Mix Carnations with some fillers in a cellephone wrapping with a matching bow, 1/2 Kg Round Shape Chocolate Truffle Cake along with New Year Greeting Card.